Russia is not willing to negotiate further bilateral nuclear cuts with the United States until other nuclear powers join the process, Deputy Foreign Minister Sergei Ryabkov said. 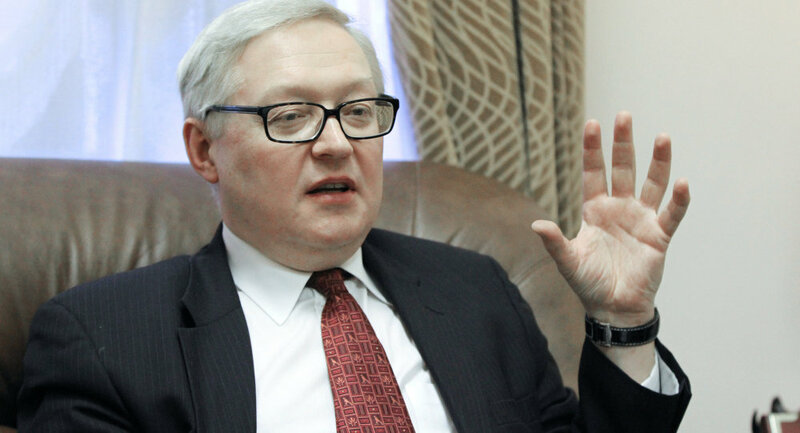 MOSCOW, May 28 (RIA Novosti) – Russia is not willing to negotiate further bilateral nuclear cuts with the United States until other nuclear powers join the process, Deputy Foreign Minister Sergei Ryabkov said. “We cannot endlessly negotiate with the United States the reduction and limitation of nuclear arms while some other countries are strengthening their nuclear and missile capabilities,” Ryabkov told the Voice of Russia radio on Monday. “Making nuclear disarmament a multilateral process is becoming a priority,” he said. The New START nuclear arms treaty, signed by Russia and the United States in 2010, limits the number of nuclear warheads deployed by each side to 1,550, and the number of their delivery vehicles, including intercontinental ballistic missiles (ICBMs), submarine-launched ballistic missiles (SLBMs) and nuclear-capable bombers, to 700. According to a report published by the Stockholm International Peace Research Institute (SIPRI) in 2011, the eight recognized nuclear powers - Russia, the United States, Britain, France, China, India, Pakistan and Israel - possess more than 20,500 nuclear weapons. Meanwhile, India, Pakistan and Israel have not signed the Treaty on the Non-Proliferation of Nuclear Weapons (NPT) whose objective is to prevent the spread of nuclear weapons and achieve complete nuclear disarmament. North Korea withdrew from the NPT in 2003 and publicly declared that it possessed nuclear weapons in 2005. It has never been recognized as a nuclear power, though. Iran is a party to the NPT but was found to be in non-compliance with its NPT safeguards agreement, and the status of its nuclear program remains in dispute. Iran insists on its right to a peaceful nuclear program, but there are justified suspicions that the country may be on track to develop its own nuclear arms.